How to choose the right size? – Answers to all your questions in our client center. On each product page, an indication of the size is given above sizes. It tells you if a shoe is rather large or small, according to Melvin & Hamilton standards. In general, the Melvin & Hamilton models are quite large - often an extra half size compared to international standards. If you put on a big 40 for example, we recommend taking a 40 and not a 41. A small 39? Rather a 38. We have a new application on our website. We offer now a size advisor; to use it, click on the link "try our size advisor" that appears under the choice of sizes available for your model. A window appears, as shown below. 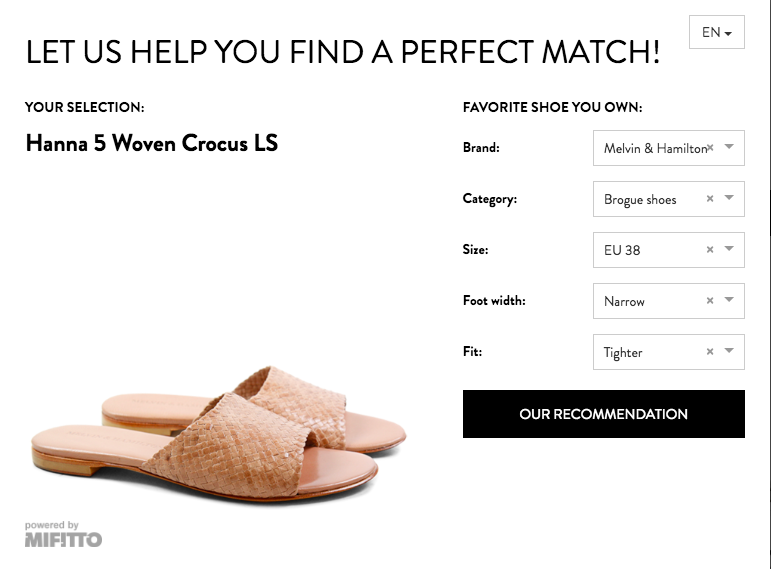 Specify the criteria defining a model of shoe you already have (for example Melvin & Hamilton or another brand); Mifitto will calculate your size for the model chosen on our site! 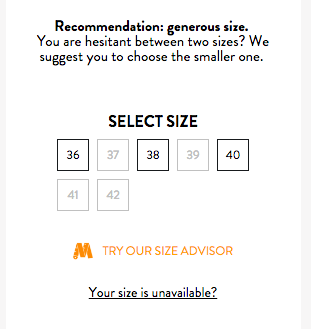 You simply have to click on "our recommendation" to see your right size for the specific Melvin & Hamilton model. 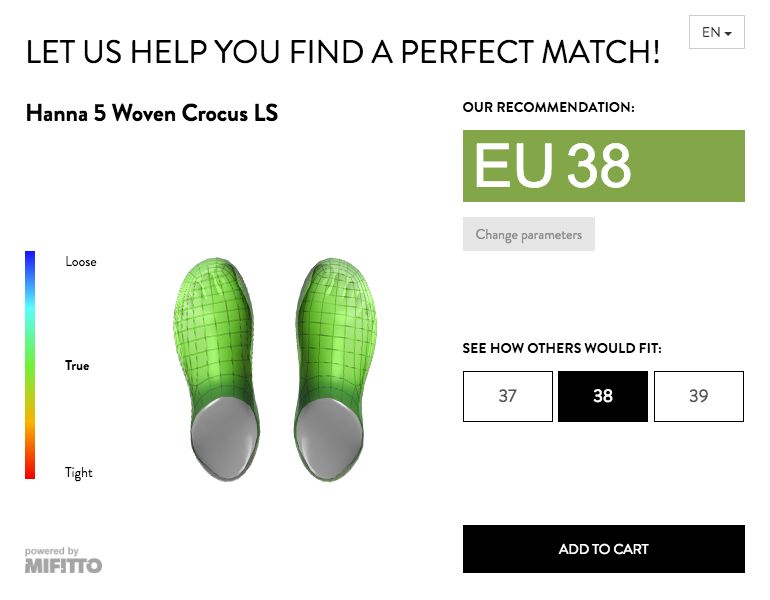 The tool is simple to use and you can easily find the right size for your Melvin & Hamilton shoes on our website! If in doubt do not hesitate to contact our customer service before ordering. We will strive to give you the best advice and avoid exchanges and returns, which, take time and have a heavy environmental impact regarding transport. Please note that the return of your order is in your charge. You can find all the information concerning the returns here. And most importantly, it multiplies large shipments and also the transport, which imply a strong environmental impact. As a responsible company, Melvin & Hamilton has a permanent commitment to avoid waste regarding all areas: creation, production, but also day-to-day management. Transport remains one of the most polluting domains for the actors of e-commerce, and we strive to limit its impact on our roads. We appreciate everyones's effort being make toward this and we notice a very significant awareness among our customers on this point. Thank you ! (*) See how to try your Melvin & Hamilton here to avoid inconvenience!